Available in $99 increments, the cards represent a unique gift for moms with a story to tell – and aren’t they all. Still shopping for the perfect Mother’s Day gift? Give the gift of self-publishing. Outskirts Press, the No. 1-rated self-publishing company according to Top Consumer Reviews, has Instant Self-Publishing Gift Certificates available for Mom – ideal for the creative woman with stories and wisdom to share. 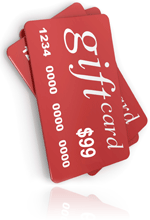 Outskirts Press Instant Self-Publishing Gift Certificates come in $99 increments and can be ordered in multiples. The recipient can use her gift to make a down payment on a publishing package, or if she is already published, make changes to her existing book, purchase book copies, buy marketing options and more. Outskirts Press suggests pooling resources with Dad, siblings and grandchildren to cover the cost of a comprehensive publishing package. To give Mom the gift of creative expression, simply add the Instant Self-Publishing Gift Certificates option to the shopping cart. Outskirts Press will confirm the recipient’s information and either add the credit to her existing account or create a free author account for her and apply her credit. Once credit is applied, a representative will let Mom know her gift awaits – usually within two business days. No rifling through the bargain bins, no shipping charges and no chance of getting the wrong size.